Whether you’ve recently suffered an acute injury, or you’ve been dealing with chronic pain for a while, you may be wondering if chiropractic care can provide the relief you need. 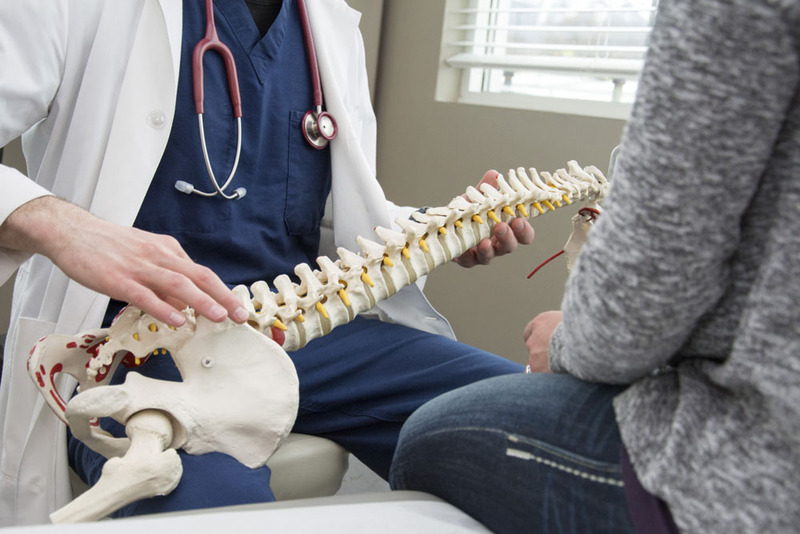 If you’ve never been treated by a chiropractor before, it may seem like an intimidating and overwhelming undertaking, and so learning a bit about how chiropractic treatment works can help set your mind at ease. Chiropractic care involves examining the entire musculoskeletal system to determine where misalignments might be so they can be corrected. Chiropractors use a variety of techniques to accomplish this including spinal manipulation and spinal mobilization. These methods are effective in treating a number of different underlying conditions that may be causing your symptoms. While chiropractors are generally thought of as only addressing back and neck problems, they are actually knowledgeable about and skilled at treating other joints in the body as well. You can visit a chiropractor for anything from shoulder stiffness to foot pain, and our comprehensive approach will uncover the source of the problem so we can treat it appropriately. This is hardly an exhaustive list, and our holistic approach allows us to provide rapid relief for your symptoms while simultaneously correcting the misalignment or other issues that are causing them to begin with. Unlike other options for addressing back pain, chronic pain, and other similar issues, chiropractic treatment is non-invasive and does not rely on prescription painkillers to achieve results. The lack of side effects or a long recovery time makes chiropractic an attractive alternative when compared to surgery or other traditional treatment options. Our chiropractors understand that stress or imbalance in one area of your body can cause wide-ranging symptoms, and we’re experienced at pinpointing the source of the problem and correcting it. When you visit our chiropractic clinic for the first time, we’ll go over your medical history with you in detail, and we’ll also complete a thorough physical exam, paying special attention to the area of concern. To evaluate your injury, we’ll test things like range of motion, muscle strength, and reflexes. Once we’ve arrived at a diagnosis, we’ll work with you to develop a treatment plan tailored to your needs. This will most likely include in-office spinal adjustments, possibly coupled with other treatments like massage therapy that are geared towards promoting healing of the affected soft tissues. We’ll also teach you some exercises you can do on your own to help strengthen the area and build on the progress you make during your office visits. To learn more about how chiropractic treatments can help you or to schedule an appointment, call us today at (269) 966-2006.